A FOUR BEDROOM SOPHISTICATED FURNISHED (except Art and Stemware) SANDCASTLE. IMAGINED FOR THE 21ST CENTURY! 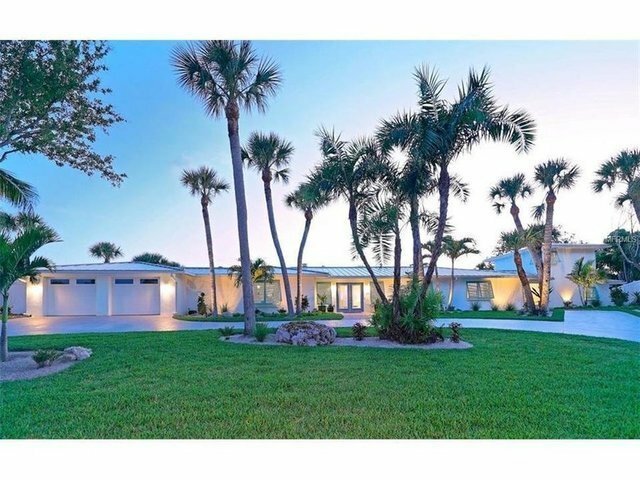 A FLORIDA STYLE HOME ABOUT LIGHT AND SPACE USING EXTRAORDINARY COASTAL CRAFTSMANSHIP! HOME IS SITUATED HIGH ON 90% OF AN ACRE, AND OFFERS 150 FT OF PRISTINE PRIVATE BEACH! MINIMALIST SIMPLICITY OFFERING SPACIOUSNESS! A KITCHEN THAT BECKONS THE CHEF WITH ITS PROFESSIONAL GRADE APPLIANCES, QUARTZ COUNTER-TOPS, MAGNIFICENT ISLAND AND BUILT IN DESK. A LARGE FORMAL DINING ROOM FOR MORE ELEGANT DINING. EVERYTHING FLOWS INTO THE "OPEN PLAN" GREAT ROOM. COMPLIMENTING TWO SEATING AREAS FOR ELEGANCE AND COMFORT. BEAUTIFUL CARRERA MARBLE USED IN BATHROOMS. FULL SIZE LAUNDRY ROOM WITH SINK AND EXCESS CABINETRY. NATURAL LIGHT WITH WALNUT FLOORING GIVES WAY TO AN IDEAL INTERIOR BASE. A SCREENED BREEZEWAY CONNECTS A TWO STORY GUEST HOUSE. GUEST RESIDENCE IS AS ASTONISHING AS THE MAIN HOUSE WITH SPECTACULAR VIEWS OF THE GULF FROM THE UPSTAIRS BALCONY. A MANICURED LUSH LAWN AND FABULOUS PALMS! A 200 FT WALKWAY OVER NATURAL DUNES TO YOUR BEACH!